Rapidly evolving technology presents to us an amazingly effective and user friendly system to straighten crooked teeth without the use of braces. The almost invisible custom fit snap on trays allow patient comfort and promote better oral hygiene while simultaneously helping to obtain a set of well aligned teeth for that beautiful smile you deserve! The Invisible System- With the aid of specialized software a well trained Orthodontist is able to provide specific, transparent plastic trays called aligners which are custom made for an individual. The software program tooth movement and creates a series of aligners which one must wear as advised by the experts. These trays help tooth movement in the desired position over a period of time. . Before starting the treatment itself one can visualize the end result. At Smile Care, a highly experienced Orthodonitst, well versed in modern Invisalign technology can achieve predictable results for his patients. Supports active social life- The clear plastic composition of the Invisalign aligners makes them virtually invisible when they are on your teeth. Moulds to your busy schedule and travel requirements-since the system requires less number of visits to the dentists. Hygienic- Aligners are removable thus enabling you to maintain good oral hygiene. Maintains comfort-Since the aligners are custom fit, they do not affect your speech. They do not cause gum irritation or injury to cheeks and lips since they are made of soft comfortable plastic. Flexibility to use-For absolutely important and unavoidable situations, it is possible to briefly remove the trays and snap them on whenever required. Incorporation of coloured indicators for gauging actual wear time. 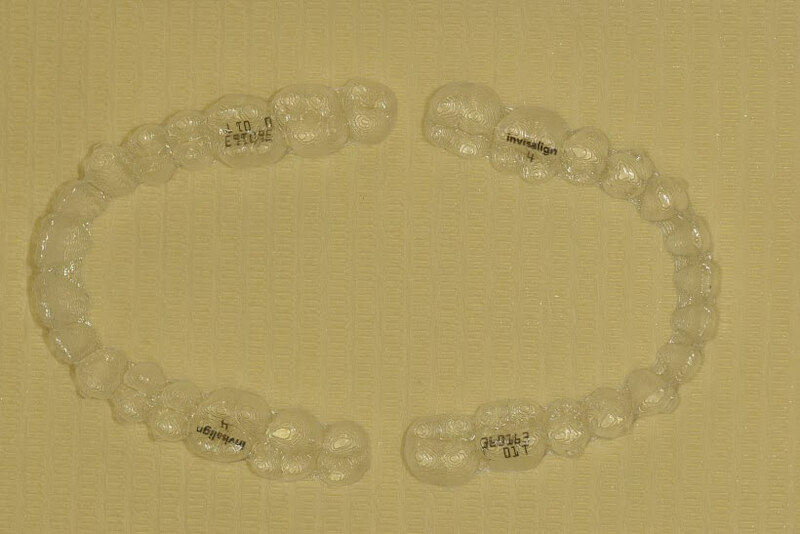 Provision of six free individual replacement aligners during treatment phase. Invisalign is the pioneer in the field of aligners. The material used for trays is unique and patented. Backed by sound clinical research, the manufacturing process utilizes advanced and sophisticated technology for fabricating the aligners and delivering predictable end results. Invisalign treatment is rendered only by certified Orthodontists to ensure highest quality of delivery. The aligners are supplied with a unique, globally recognized patient identification number (PID) and Invisalign logo for every patient undergoing treatment. Treatment duration essentially remains similar to that of regular braces, however, loss of time due to missed appointments/non compliance and broken components is eliminated. The procedure essentially is very simple and done stepwise. 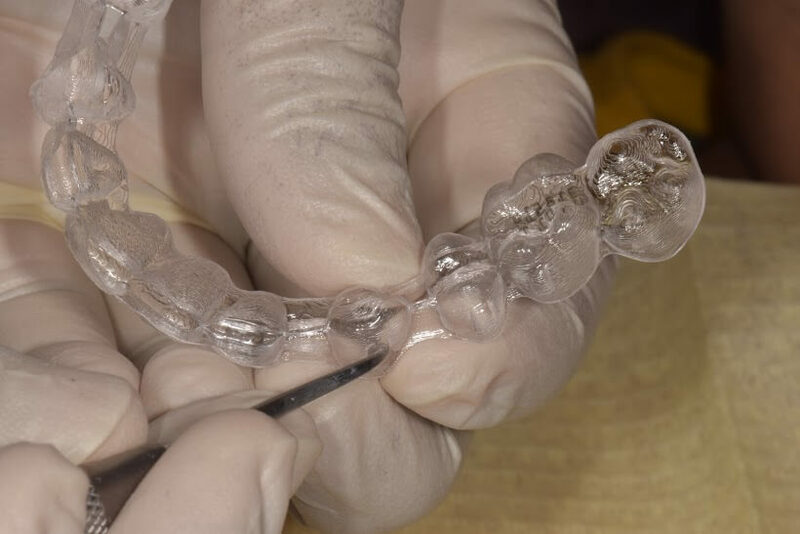 Step 2 : 3-D computer imaging technology is used to convert your bite impressions into a custom-molded series of clear and removable aligners. The number of aligners depends on your individual course of treatment planned for you. Step 3 : Your first set of aligners and starter kit will be provided to you with instructions of how to wear and maintain. Step 5 : Once the desired result is achieved, you will need to wear a retainer for some time to keep your teeth in their new and improved position. 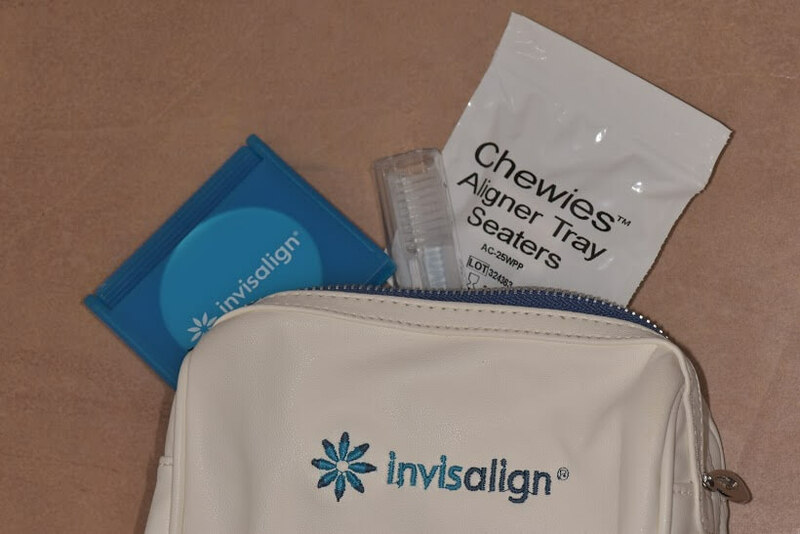 Whether teeth need minor alignment or more extensive adjustments, Invisalign supports all kinds of requirements due to its advanced technology.